This model is discontinued. 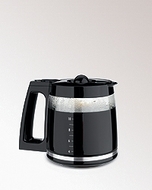 Click here to see other Hamilton Beach Coffe Makers & Accessories. Fits Hamilton Beach 432 series programmable coffeemakers.